This site is dedicated to undervalued asset situations, but I haven’t yet spent much time on undervalued asset situations other than liquidations and Graham net current asset value stocks. Two areas worthy of further study are low price-to-book value stocks and low price-to-tangible book value stocks. I’ve found that it is difficult to impossible to find any research examining the performance of stocks selected on the basis of price-to-tangible book value. That may be because book value alone can explain most of the performance and removing goodwill and intangibles from the calculation adds very little. Tangible book value is of interest to me because I assume it more closely describes the likely value of a company in liquidation than book value does. That assumption may be wrong. Some intangibles have value in liquidation, although it’s always difficult to collect on the goodwill. If anyone knows of any study explicitly examining the performance of stocks selected on the basis of price-to-tangible book value, please shoot me an email at greenbackd at gmail or leave a comment in this post. Book value has received plenty of attention from researchers in academia and industry, starting with Roger Ibbotson’s Decile Portfolios of the New York Stock Exchange, 1967 – 1984 (1986) and Werner F.M. DeBondt and Richard H. Thaler’s Further Evidence on Investor Overreaction and Stock Market Seasonality (1987). In Value vs Glamour: A Global Phenomenon, The Brandes Institute updated the landmark 1994 study by Josef Lakonishok, Andrei Shleifer, and Robert Vishny Contrarian Investment, Extrapolation and Risk. All of these studies looked at the performance of stocks selected on the basis of price-to-book value (among other value metrics). The findings are uniform: lower price-to-book value stocks tend to outperform higher price-to-book value stocks, and at lower risk. On the strength of the findings in these various studies I’ve decided to run a handful of real-time tests to see how a portfolio constructed of the cheapest stocks determined on a price-to-book value basis performs against the market. For the sake of comparison the S&P500 closed Friday at 1,091.38. Perhaps one of the most striking findings in the various studies discussed above was made by DeBondt and Thaler. They examined the earnings pattern of the cheapest companies (ranked on the basis of price-to-book) to the most expensive companies. They found that the earnings of the cheaper companies grew faster than the earnings of the more expensive companies over the period of the study. DeBondt and Thaler attribute the earnings outperformanceof the cheaper companies to the phenomenon of “mean reversion,” which Tweedy Browne describe as the observation that “significant declines in earnings are followed by significant earnings increases, and that significant earnings increases are followed by slower rates of increase or declines.” I’m interested to see whether this phenomenon will be observable in the 30 company portfolio listed above. It seems counterintuitive that a portfolio constructed using a single, simple metric (in this case, price-to-book) should outperform the market. The fact that the various studies discussed above have reached uniform conclusions leads me to believe that this phenomenon is real. The companies listed above are a diverse group in terms of market capitalization, earnings, debt loads and businesses/industries. The only factor uniting the stocks in the list above is that they are the cheapest 30 stocks in the Google Finance screener on the basis of price-to-book value. I look forward to seeing how they perform against the market, represented by the S&P500 index. Here’s the Tickerspy portfolio tracker for the Greenbackd Contrarian Value Portfolio. Whevever I run this screen in the google finance screener, the p/b value doesn’t get above 0.08. You must have had other criteria other than the p/b value. Was it that p/e ratio must be positive? Share price must be above $1? Please help me out here. I am trying to do the same type of experiment, only with low p/b stocks that also have a debt/equity ratio less than 0.2. P/B was my only criteria. 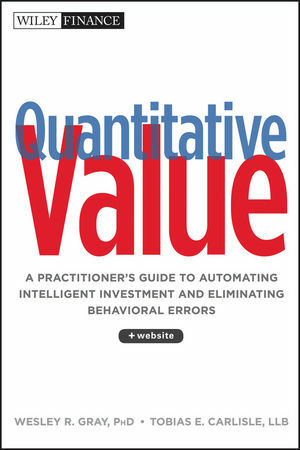 What do you mean when you say “the p/b value doesn’t get above 0.08”? When I sorted all stocks on the basis of P/B from lowest to highest, there are 45 stocks with p/b ratios lower than your list’s lowest value of 0.11. I’m thinking I either did not use it correctly, or you used another criteria? I also find it strange that the lowest p/b stocks you found were all profitable, since they all had positive p/e ratios. It seems that most of the extremely low (i.e. p/b around 0.03) p/b companies are in the financial sector. Is this study excluding financials? because that would make perfect sense. It seems that I have only included stocks with a positive P/E value. 1. No losses were sustained within the past 5 years. 2. Total Debt is less than 100 percent of total tangible equity. 3. Share price is less than book value per share. 4. Earnings yield is at least twice the yield on long-term (20 year) AAA bonds. 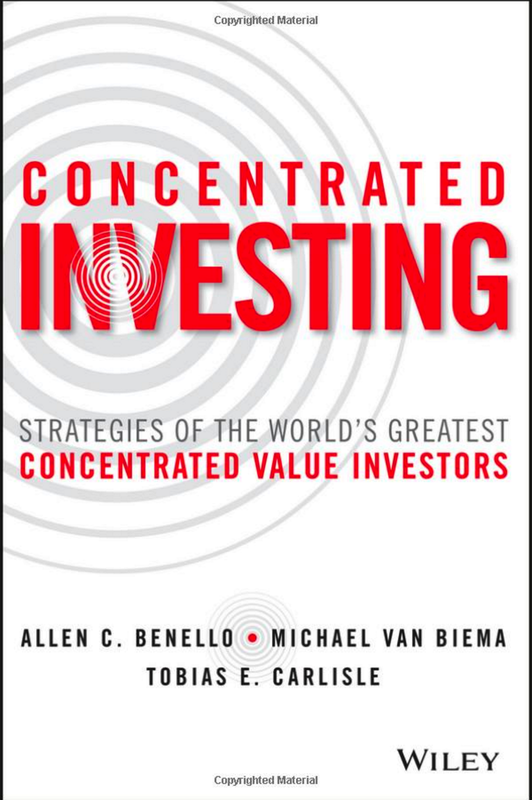 Page 65 “Value Investing Today”. The price to book ratio is meaningless on its own merits, in my opinion, but when combined with other tests it becomes a useful tool. If you’re going to invest in low Price to Book stocks, a key factor I’ve found is to make sure the Total Liabilities of the firm is less than the Equity of the firm. Looking at the first stock mentioned on your list, Top Ships, their Total Liabilities are 59% higher than the Equity value of the firm. That’s a stock that I’d stay away from. Charles Brandes, one of the few investors who learned first hand from Benjamin Graham, has written extensively on low Price to Book stocks. I’d recommend his book Value Investing Today. It’s an educational read. Alright, I took a look at my books and I was mistaken, they actually make an argument that tangible book value is not always an accurate measure, especially in the case when the intangibles can be sold off in the case of a patent, rights, or copyright. So the conclusion seems to be for each company book value must be calculated to account for off balance sheet items (capitalize operating leases, bring SPE’s on sheet) and remove goodwill that can’t be sold off separately. Interestingly enough I read a study a few months back about using Tobin’s q as a predictor of out performance. This would seem to closely model the tangible book value effect, Tobin’s q is replacement cost. And the conclusion was there was no predictive ability, and the return of low q stocks matched the S&P return within 10 bps. an interesting result – I ran a screen on Schwab, Yahoo, and Finviz – P/B 100K. I threw out the P/B=0 or negative. All the screens had a different list of the lowest P/B. So the question is how do each of them measure P/B? And how fine should the screen be? Finviz (which I prefer) shows many stocks with P/B between 0.01 and 0.1. There was a study referenced in the CFA curriculum I believe discussing price to tangible book value. I would need to look at my books when I’m at home, there might be something on the cfainstitute.org website. it should read P/B less than one and average daily volume greater than 100K. I am very certain that this portfolio will be outperforming the market after a year. A year ago I created a portfolio of 30 stocks trading below liquidation value and it has outperformed the S&P 500 by 40% (or 4000 basis points). I’m also reasonably confident that it will beat the S&P500 (though it underperformed in the LSV study something like 6 in 22 years). I’m not so confident that it will it be in positive territory. I’d rather be holding 30 net nets.